In a long awaited decision in the Marc Lemire Internet case, Mr. Justice Mosley delivered his judgment on October 2, 2012. As has become clear, Judge Mosley should never have been seized with this case. He should have recused himself on the basis of a reasonable apprehension of bias. As a lawyer for the Department of Justice, he was the point man shepherding through amendments to various pieces of legislation, including Sec.13 of the Canadian Human Rights Act, which was now worded to specifically hand over control of the Internet to the Human Rights Commission thought police. He strongly assured MPs that this legislation was constitutional. Now, wearing his since acquired judge's robes, he's being asked to rule that his baby is unconstitutional. Potential bias? Potential conflict? You bet. 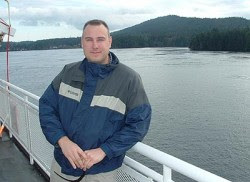 Internet webmaster (The Freedomsite) Marc Lemire was one of Richard Warman's most prominent victims. He was hit with a complaint by Richard Warman in 2003 for postings on the Freedomsite. Then, began an eight year legal battle. Mr. Lemire not only fought the complaint on the merits but also challenged the constitutionality of Sec. 13. Impressive evidence was introduced and witnesses led. The dirty tricks, or at least some of them, of the Canadian Human Rights Commission were exposed. We learned that the chief investigator or Internet "hate" a blind man named Dean Steacy put no weight on freedom of speech investigations as "free speech is an American concept." The very science on which Sec. 13 was based was challenged. The sorry history of Sec. 13 -- a 100% conviction rate -- was exposed. On September 2, 2009, in a landmark decision Athanasios Hadjis essentially ruled Sec. 13 unconstitutional, albeit on annoyingly narrow grounds. In 1990, by a narrow 4-3 margin, the Supreme Court of Canada narrowly upheld the constitutionality of Sec. 13 on the basis that, while it did restrict free speech, it was essentially remedial, not punitive. However, in 1998, a range of fines and financial penalties was introduced. On this basis, Mr. Hadjis acquitted Mr. Lemire on all but one charge -- an article about AIDS Secrets -- refused to apply a penalty and essentially declared Sec. 13 to be unconstitutional as it was no longer "remedial." We'd have liked to have seen it thrown out on more substantial grounds; still, a victory is a victory. 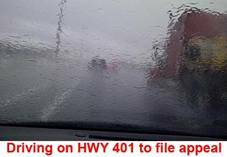 Within a month the Canadian Human Rights Commission sought judicial review (appeal) its humiliating defeat. After two years of legal jockeying and tens of thousands of dollars spent by those promoting free speech, the appeal was heard in Federal Court, December 13, 2011 by Judge Mosley. On June 4, well before he rendered his decision, the House of Commons repealed Sec. 13. One might think the judge would simply deliver the coup de grace and put this totalitarian piece of repression out of its misery. However, Judge Mosley saved his hobby horse. He maintained in the fact of all evidence that Sec. 13 was constitutional and an acceptable denial of free speech. However, the financial penalties are unconstitutional. Marc Lemire is to be sent back to the Tribunal for sentencing. And to add insult to injury, chronic complainer Richard Warman who chose to make this mischief is to be paid for writing his legal brief and for attending the appeal. 3.The respondent Richard Warman is awarded costs for the preparation of his record and his out of pocket disbursements for attendance at the hearing against the respondent Marc Lemire. The decision is rife with errors and I shall deal with just a few in this Part. One of the key arguments advanced by Mr. Lemire was that the justification for Sec. 13 (and, indeed, for upholding the "hate law", Sec. 319 of the Criminal Code) that the Supreme Court bought in 1990 was based on bad science. Frankly, it was "theoretical" nonsense back then, but neuropsychology has made huge inroads and shown us how the human brain reacts. The science they accepted in 1990 is now junk. This is how it goes: the Canadian Charter of Rights and Freedoms is a smoke and mirror job of Indian giving. We are promised all these rights -- free speech, freedom of belief, etc. Then comes the weasel clause, "subject only to such restrictions as are demonstrably justified in a free and democratic society." Thus, if Parliament or a provincial legislature has a good goal in mind and, to achieve the goal restricts your rights, that's alright as long as the restrictions accomplish the goal and are not excessive. In the case of Sec. 13, the Supreme Court accepted that "hate speech" had a bad effect on society. This was all based on a 1965 report by an obscure University of Toronto psychology professor Frederick Kaufman. He argued that minorities were made fearful by "hate speech", that they tended not to want to be themselves and that they withdrew from society and, at the extreme end, abused drugs or alcohol. This being so, Parliament, the Court held, was right to suppress "hate speech." Common sense and every day observation tell us that that's not the way groups respond when they are criticized, even extravagantly. Professor Michael Persinger, led as an expert witness by Lemire and sank the scientific ship holding afloat the Supreme Court's justification of repression. Persinger testified that Kaufmann was wrong. On being confronted with "aversive stimuli" ("hate speech" is a loaded term, Persinger testified), minorities either scoff at the comments and reject them or become angry and want to argue or refute them. Neither reaction is a harm to society. In fact, both are positive. So, in fact, beyond a few wounded feelings "hate speech" causes no harm to society. There goes any justification for Sec. 13 This was a key argument. The judge just ignores the unrefuted testimony of Dr. Persinger that the scientific account the Supreme Court accepted was simply bad science. The judge will not let his legal baby go: "Notwithstanding the recent legislative effort to repeal s 13, I have no difficulty concluding that the objective of the enactment continues to be substantial and pressing." (para 87) Nonsense. So, as he sees it, Parliament was wrong. Finally, Judge Mosley all but admits that the purpose of Sec. 13 is not to suppress "hate speech" but to silence a particular political ideology: "Apart from the technology, there is little to choose between Taylor’s callers and like-minded individuals looking for confirmation of their views on a white supremacist web site. And the suggestion that they are open to countervailing views can not be taken seriously. "(para 94) The judge rejects evidence from several witnesses that the Internet is far more interactive and functions very differently from a telephone answering machine. So, should this judgment stand, Marc Lemire would be assessed a penalty, likely a "cease and desist order", a lifetime gag, despite the fact that the law has been repealed by the House of Commons. Finally, Sec. 13, until its repeal is passed by the Senate, could, theoretically be used to persecute others with the temerity to criticize privileged minorities on the Internet. Yes, on the good side, the financial penalties are gone. The Mosley decision MUST be appealed. On October 30, Marc Lemire filed "Notice of Appeal." As you no doubt already know, MP Brian Storseth’s Private Members Bill C-304, an Act to repeal Section 13 of the Canadian Human Rights Act, has passed the Canadian Parliament. However, it must still pass the Senate before this piece of freedom-crushing legislation will be gone for good. In the meantime, Marc Lemire’s long legal battle with serial plaintiff Richard Warman continues. Warman is the man who Sun TV commentator Ezra Levant refers to as “Canada’s most offended man” because he is personally responsible for over half of all complaints before Canada’s Human Rights Commission. Federal Court Justice Richard Mosley recently ruled in the case of Warman v. Lemire (view PDF of decision) and his decision was quite bizarre. It struck down the penalty clause of the Human Rights Act, Section 54, while simultaneously upholding the constitutionality of the freedom-killing Section 13. If you think that is confusing, don’t worry. You’re not alone. Ezra Levant is also a little puzzled, and he’s done his best to explain what the federal court ruling means with some help from Chris Shafer of the Canadian Constitutional Foundation. You can watch that video at the bottom of this article. It is important to remember that Marc Lemire is the only person to win their case in the 33 year history of the Canadian Human Rights Commission! He is the guy who finally broke their 100% conviction rate. So far this case has eaten up 8 years of Marc Lemire’s life and the battle is still not over. Since this is currently the law of the land until the bill to repeal Section 13 passes the Senate, Marc Lemire must continue his battle to have the law struck down on constitutional grounds. But is it really necessary to appeal this ruling since Bill C-304 will inevitably pass the Senate? Yes, it is, and here’s why. First, at the moment there are dozens of Section 13 cases that are “on hold” pending the outcome of Marc Lemire’s case. Should Lemire decide NOT to appeal this ruling, then all those cases will be taken off hold and the unjust persecution of those Canadians will resume. Second, we have no idea when Bill C-304 will pass the Senate, even though it’s practically guaranteed to do so. The problem lies, as I outlined above, with the time period between today and the day when the Bill C-304 is actually proclaimed into law. During this time period cases already “in the system” will move ahead, even though everyone knows the law will be repealed. Since it is currently the law of the land, it will be applied as such, despite the impending repeal of Section 13. As I see it, if for no other reason than supporting Lemire’s case prevents all these other cases from resuming, it is well worth supporting. So I urge you to please join with me in supporting Marc Lemire’s Constitutional Challenge of Section 13 of the Canadian Human Rights Act. “But I don’t support what Mr. Lemire says,” you’re thinking. So what? That’s not the issue, is it? I don’t have to agree with what someone says in order to support their right to say it. That’s the whole problem with Section 13 of the Human Rights Act! It takes Free Speech and turns it into Approved Speech. The problem with Approved Speech should be obvious. So long as you’re on the side of those who get to decide, you’re okay. But what happens when the political climate changes and you’re no longer on the side of the “approvers“? Unless you are content to live in Orwell’s world, support Marc Lemire. He is the good guy in this fight and he has earned our support, if for no other reason than he is the first and only person to ever win a case against the Canadian Human Rights Commission! Their 100% conviction rate was secure until they went after him. Every week I send out my Rights and Freedom Bulletin to subscribers who want to know the latest developments in the battle for our God-given Rights and Freedoms. Our government has forgotten the simple fact that governments cannot create rights, and that Government's role is to protect our rights. My weekly Bulletin is my way of helping all Canadians remind our government of this basic, undeniable fact. 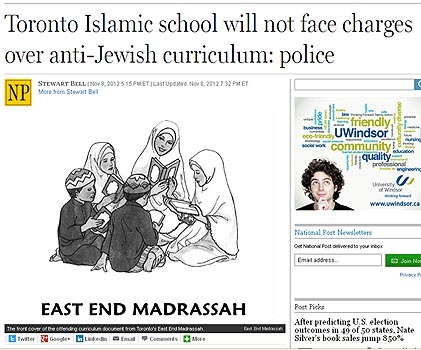 When "hate" is promoted in Canada, it is only criminalized if the communicator of the message is an alleged "nazi" or white "anti-Semite". Just look at all the cases stretching back to the 1970's. If you hate whitey -- no problem. If you are Muslim and hate Jews -- no problem. If you are Jewish and hate Muslims -- no problem. 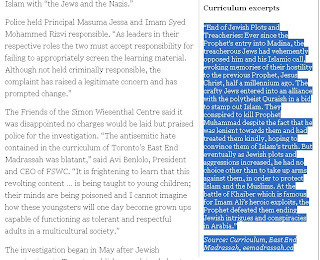 On the same day that white skinned - alleged "nazi" and "anti-Semite" Arthur Topham was charged with criminal 'hate speech", the police looked at brown skinned Muslim hate against Jewish Canadians, and found no criminal "hate". Why is it that so-called "hate" laws only ever target one certain opinion, and all the other haters are given a free pass? Would Canada's criminal prohibition against "hate" ever be found constitutional if the courts looked at the actual effects and operation of the law? After 30 years, it is as clear as day; this law targets a certain range of opinions in Canada, and has little to do with actually removing hate. 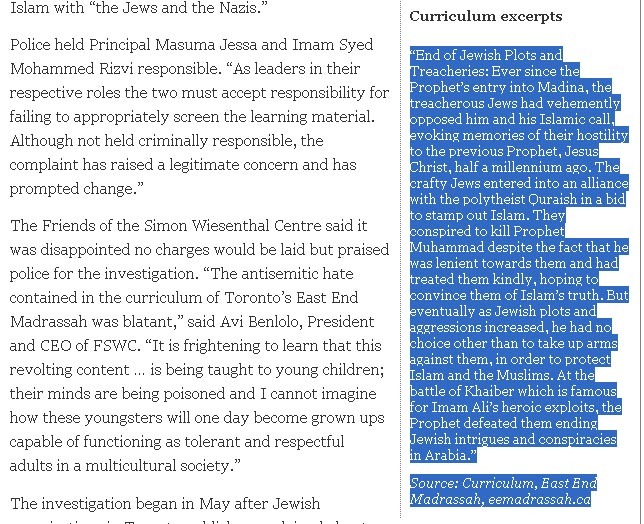 As we have documented over and over, some hate in Canada is perfectly fine and non-criminal. If you have an opinion which can be classified as "nazi" or "anti-Semitic" and you're White; expect the state to drop the 'trifecta of tolerance' on you. Which is a three stage, proven framework, to break and humiliate the victim -- all at the expense of Canadian taxpayers who foot the bill for this multi-million dollar make-work project. The stages can be defined as: ostracized, vilified and criminalized. Judge makes multiple errors and fails to mention he was a key player at DoJ who passed legislation which applied Section 13 to the internet! OCTOBER 30, 2012: Cutting through post-hurricane Sandy’s driving rain, Marc Lemire filed his landmark appeal to the Federal Court of Appeals, challenging the bizarre ruling of Mr. Justice Mosley. 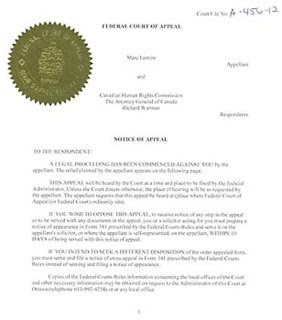 This appeal takes the question of the constitutionality of Section 13 to the Court of Appeals and questions several aspects of the Federal Court Judge’s decision. This Appeal is a damning critique of censorship and thought control which lay at the feet of Section 13 of the Canadian Human Rights Act – Canada’s shameful and thoroughly discredited internet censorship legislation. Well, the Canadian Human Rights Commission had a different idea of what “remedial” means, and the CHRC went on a fishing expedition to try to find anything else to prosecute Lemire with. The CHRC found a few documents, and Warman submitted a website he claimed Lemire operated. When Warman submitted the website, he also asked the CHRC to hide this from Lemire – which the CHRC promptly did. In the interim, CHRC staffers signed up on message boards such as Stormfront,org and attempted to engage (entrap?!) Lemire in conversation, using an alias known as “Jadewarr”. Notwithstanding the fact that Lemire remediated all complained of material, the CHRC arrogantly pushed on, and a Tribunal was setup to investigate Lemire and the hundreds of absurd claims of "hate speech" being made against him. As part of his defence, Lemire questioned the constitutional validity of Section 13 of the Human Rights Act. The Tribunal hearing spanned years and finally in 2009 the Canadian Human Rights Tribunal threw out almost the entire case against Lemire. The Tribunal ruled against every single alleged “hate” message Lemire was accused of; except for one. The Tribunal also found that Section 13 and 54 of the Canadian Human Rights Act was unconstitutional. The censors were not happy with that, and in 2009 (yes three years ago!!) the CHRC appealed to the Federal Court of Canada seeking a judicial review of the decision of the Canadian Human Rights Tribunal. In early October, 2012, the Federal Court – after taking three years – finally ruled. The court found that Section 13 of the Canadian Human Right Act was just fine but the penalty provision of the law was unconstitutional. Therefore the Federal Court stuck down Section 54 of the Human Rights Act, but left Section 13 intact. That’s where we are now. If Lemire chose not to appeal, the other cases which were halted awaiting a final decision would be activated, and the victims would have been dragged before the Canadian Human Rights Tribunal, and in some other cases, the Federal Court. The ruling by Liberal Appointee – Justice Richard Mosley is at times head scratching and at other times in error. On the head scratching side, the Judge could not even get the correct date of the Tribunal’s decision. In Mosley's decision, he claimed the decision date was “September 9, 2009”, when in fact, the Tribunal ruled on September 2, 2009. The Judge mixes up and totally confuses the history of Section 13 and how the penalty provisions were adopted. And his confusion of the law was then used as reasons to justify Section 13 at a later point. In one of the more strange errors, Justice Mosley overturned finding of fact which the Tribunal made with respect to mediation (or lack of mediation) which took place in the Lemire case. From day 1, Marc Lemire tried to mediate the case which clearly follows the principles of the Canadian Human Rights Act. All of Lemire's requests for mediation seemed to fall on deaf ears. Mosley in his decision totally gets it all wrong, and by a misreading of what happened on mediation, comes to an erroneous conclusion. One of the major submissions to the Appeals court, will be the errors which Lemire alleges Justice Mosley made when looking at the historical amendments to Section 13 of the Canadian Human Rights Act. Among the amendment that Mosley looked at was the 2001 amendment to Section 13, which was buried in Canada's so-called "Anti-Terrorism" legislation, which expanded the censorship powers of the CHRC to the internet and even to all interconnected computer networks. When Section 13 was first passed in the late 1970’s, Section 13 only applied to the limited aspects of a telephone answering machine. In 1990, the Supreme Court of Canada looked at Section 13 and how it applied to Telephone answering machines only, and even with that limited range of speech that was censored, the SCC narrowly upheld Section 13 as constitutional by the slimmest of majorities - a 4-3 ruling (Interesting side note: Justice Beverley McLachlin was the author of the 3 person dissent and wanted to strike down Section 13. McLachlin is now the Chief Justice of the Supreme Court) . Because of the vast quantity of information available on the Internet, it comprises an integral component to the Lemire constitutional challenge. And guess who was a key decision maker and “point man” for the “Anti-Terrorism Act”? The same Act, which extended CHRC censorship to the Internet? The one and only; Justice Richard Mosley. One of the main arguments against Section 13’s constitutionality is that it now applies it's censorship regime to the Internet; the most interactive and inclusive communications medium the world has ever known. Because of the Internet's liberating framework, it has become one of the main pillars of the Lemire Constitutional Challenge. And also raised as a critical issue by the Canadian Civil Liberties Association, the BC Civil Liberties Association, and the Canadian Free Speech League. Keep in mind; the application of Section 13 to the Internet was part of HIS legislation (Anti-Terrorism Act). An Act which HE defended to the media and in front of a Parliamentary sub-committee. And it was Mosley that so quickly dismissed concerns about civil liberties over the so-called Anti-Terrorism Act. Considering that Judge Mosley was a critical player and the “front man” for the 2001 amendments to Section 13 – doesn't it raise the question of a fair hearing or even a claim of reasonable apprehension of bias? How can justice be served (and seen to be served) when a Judge sits in judgment over the very legislation that HE was so closely associated with, defended, justified and sold to Canadians? Justice Mosley should have identified to the parties his role in the founding of the legislation, and then stepped aside and allowed another Judge to sit in review this important case. In Canada, justice must be transparent and be seen to be transparent. It is quite possible that a reasonable person who attended the hearing (where Mosley was intolerant and dismissive of Lemire's lawyer - Barbara Kulaszka), or followed the live blog of it on the internet, or even read about the exchange between Mosley and Kulasza on the front page of the National Post; and now knowing the background of Justice Mosley and the "Anti-Terrorism Act" could take a grim view of the whole process, which tends to bring the administration of justice into disrepute. THE APPELLANT APPEALS to the Federal Court of Appeal from the judgment of Mr. Justice Richard Mosley of the Federal Court dated October 2, 2012 in which he allowed the application by the Canadian Human Rights Commission for judicial review of the decision of the Canadian Human Rights Tribunal dated September 2, 2009 [2009 CHRT 26] in the matter of a complaint by Richard Warman against Marc Lemire under section 13 of the Canadian Human Rights Act, R.S.C. 1985, c. H-6 (“Canadian Human Rights Act”). Such further and other order as this Honourable Court may make. Doug Christie on "Reform Section 5" and Freedom of Speech in the U.K.